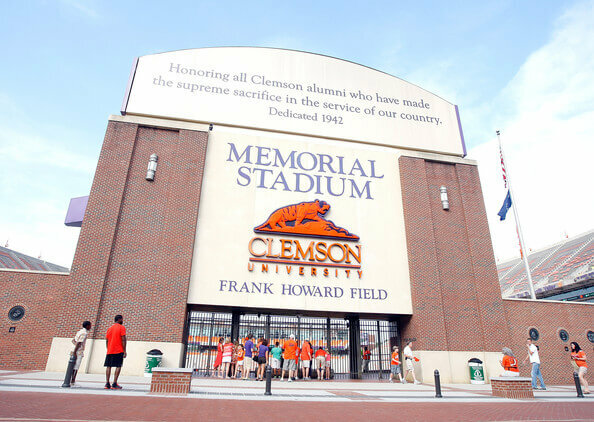 The Panthers played their inaugural season at Clemson University’s Memorial Stadium while the new stadium was being completed. The Panthers played their first game at the stadium on September 14, 1996. Frank Howard Field at Clemson Memorial Stadium, popularly known as “Death Valley”, is home to the Clemson Tigers, an NCAA Division I FBS football team, located in Clemson, South Carolina. Built in 1941-1942, the stadium has seen expansions throughout the years, with the most recent being the WestZone, which began in 2004 and was completed in 2006.